Jenny Ang from Singapore holds a degree in piano performance and is a Senior Associate Director at the Conservatory of Music in the country. According to her, non-profit organizations also need business skills. “I’ve worked in the management team of the Yong Siew Toh Conservatory of Music (YST) for over ten years. I grew up in Singapore, studying Physics, Chemistry, Biology and Mathematics at high school, but went on to study music in Great Britain. When I returned to Singapore, YST Conservatory of Music had just been established and it felt natural to apply to work there. Without formal business training, my method of management has only been through common sense and on the job trial and error. I wanted to validate that I have been doing things right." I applied to the Aalto Executive MBA program partly because I wanted to validate that I have been doing things right but I also believed that the non-profit industry would benefit from broader management and business knowledge. A faculty of the National University of Singapore, the YST Conservatory was established in 2003 and quickly grew in reputation in the conservatory world. As a small institution which is able to offer fully-funded places to all accepted students, we have been able to attract great talents from over 20 countries - some as far as Iran and Chile - to come and study with us. One of our key tasks is to advocate for the arts and music in today’s landscape and find new ways to embrace it." It has been exciting to be working in the pioneering team. It truly feels like working in a start-up when everything had to be built from scratch. However, the classical music industry as a whole can risk being too traditional. One of our key tasks is to advocate for the arts and music in today’s landscape and find new ways to embrace it along with science, math and engineering which already hold a certain value, particularly in Singapore. Many people have an innate passion for art, but we need skills and tools for everyone at large to see its value and for the profession to have a viable future. Through the Aalto EMBA program, it has also become clearer to me, that no matter what sector you come from, today’s challenges are no longer about domain expertise but really how you approach these challenges and how you manage people. Like competitive sports, performing arts require a huge amount of ambition, tenacity and risk taking. At the same time, artists also need skills to build a brand and manage their own career pathways. I must be the first person from my field to take part in the Aalto EMBA program, but there will be more in the future. Coming from a slightly left-field industry on the Executive MBA program, I know the professors have had to reframe issues and theories to consider for the non-profit sector. What is profit or efficiency in the realm of art of music? How can you measure its impact on society? Plenty of interesting conversations have ensued and they have challenged my classmates to re-think what they take for granted as business models. I chose the Aalto University EMBA program, as it was recommended to me by the former dean of the Sibelius Academy in Helsinki. 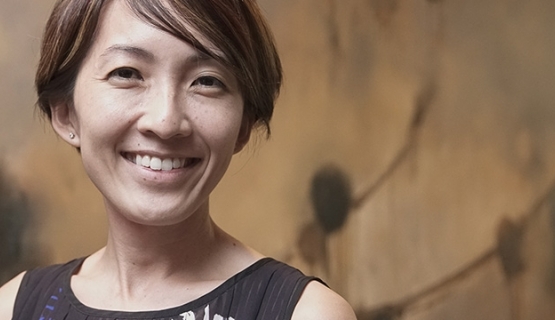 Learn more about the Aalto Executive MBA in Singapore. The Aalto EMBA program is offered in seven locations: Finland, Singapore, Poland, South Korea, Taiwan, Indonesia and Iran.